When you give up or cut back on coffee, it can feel as though that rich and peaceful time in the morning becomes as watered down as you peppermint tea. 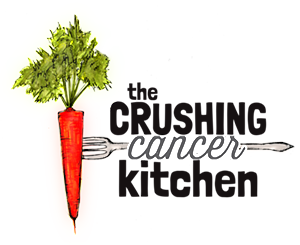 There are some interesting and appropriate substitutes out there: green tea is a great option for crushing cancer and dandelion root tea can fill the dark and mysterious void while supporting the liver. The following recipe is another option, and is what I like to think of as a ‘breakfast cocktail’ as it requires a bit of bartending and I would pay someone to make it for me every single morning. PS -It works wonders if you feel a cold coming on. 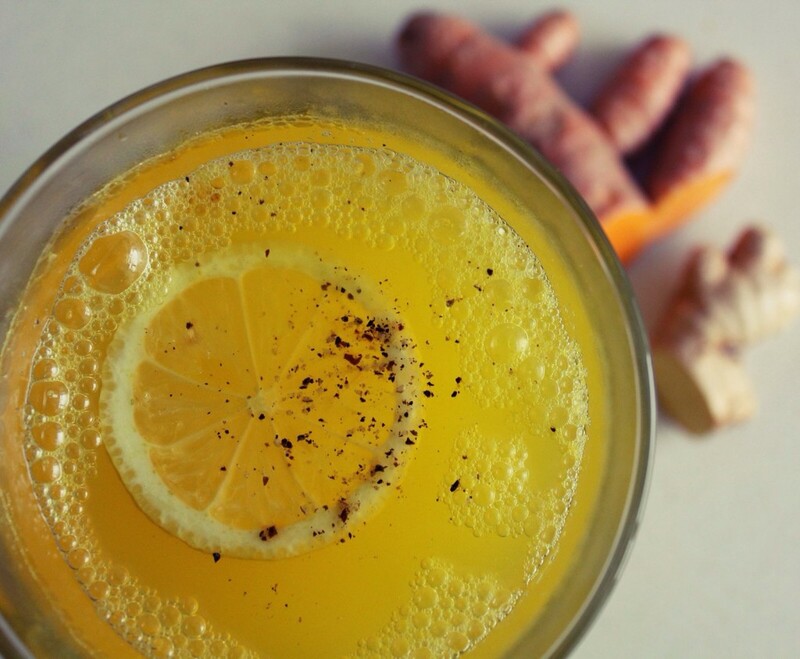 Fresh ginger is known to help with nausea, and have anti-inflammatory effects on the body. 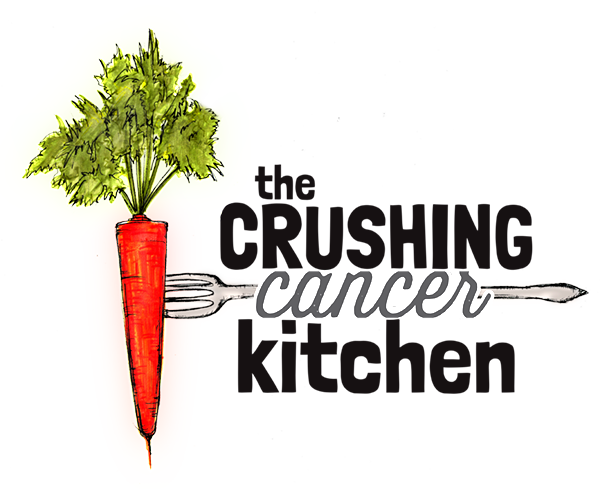 Fresh turmeric is one of the best-known cancer fighting foods and a substance derived from it, called curcumin, is found in natural supplement form for people fighting cancer (or other inflammation-based diseases/disorders). Both ginger and turmeric are rhizomes and they look similar, except ginger is beige-y yellow on the inside and turmeric is a vibrant orange. 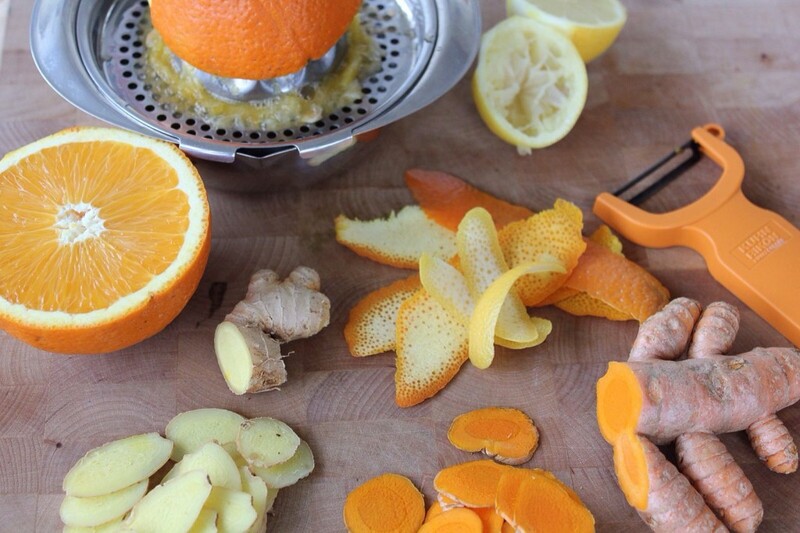 It will happily vibrantly orange-ify everything in your life including your fingers, your kitchen equipment and your countertops, while it happily lowers the inflammation in your life. A pretty good trade off in my books. Turmeric is most commonly found dried, it adds the deep yellow-orange to curries and curry powder. Fresh turmeric is better in this recipe because it has a delicate floral taste that I find is lost in the drying process. Actually, if I’m being honest it tastes a bit like bananas, specifically the liquid banana antibiotics medicine that was common in the 80’s. Just a bit of tasty irony. 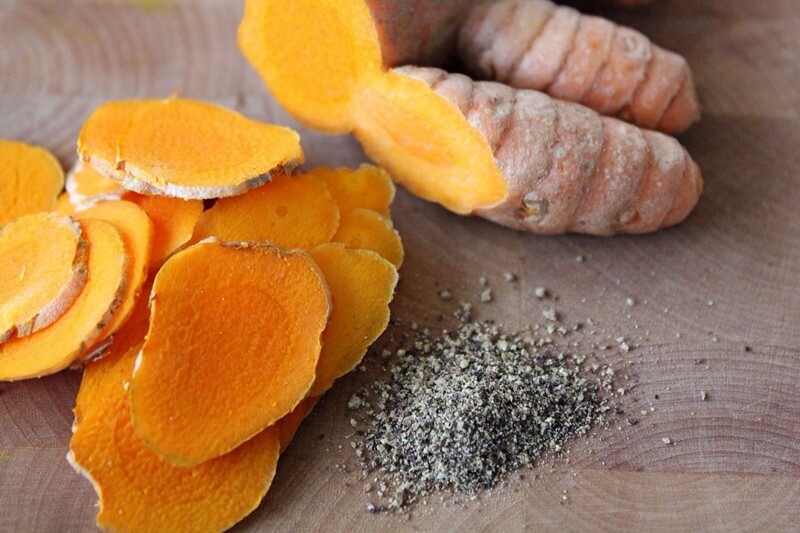 You can sub in the dried turmeric if the fresh is too hard to find (use much less, ¼ tsp). Moving along, so far we have a ginger and turmeric tea, but we have only just begun. While it simmers away, take a vegetable peeler and peel a few generous slices of zest off of an orange and a lemon. Make sure to get a bit of the bitter white pith too because this is where the most flavanoids live (plant antioxidants). Don’t worry, the bitterness will be balanced out by the orange’s juice, just like in nature. 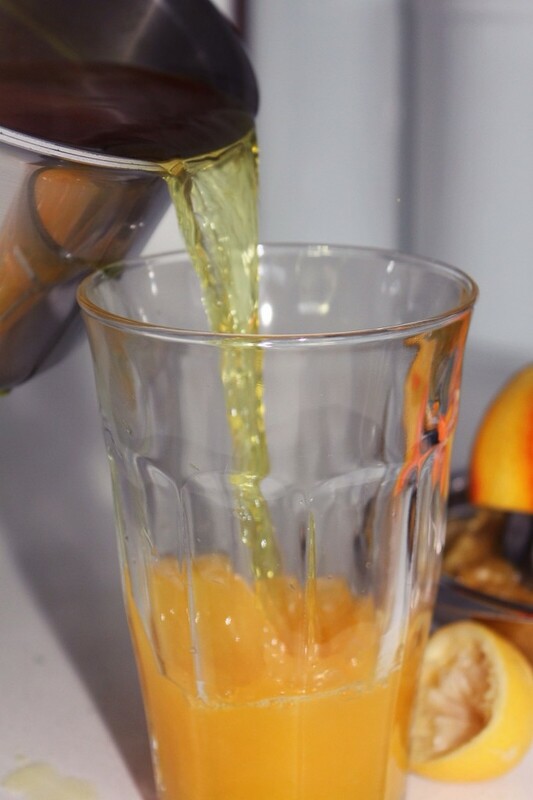 Juice half of the orange and half of the lemon together and pour them, including their pulp, into a heat-proof glass or mug. We want these juices to retain as much vitamin C as possible, so we are going to leave them raw. Once the ginger and turmeric have simmered for 5 minutes, add the zest peels, turn off the heat and let it sit for a couple more minutes. Then pour into your glass/mug of juice. 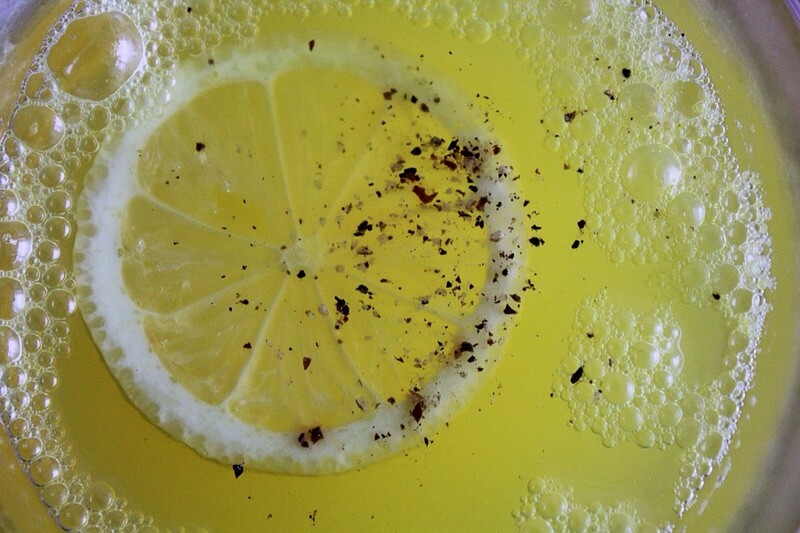 Black pepper and fat help the turmeric to absorb right into your blood stream, so crack some black pepper right into your tea cup and stir some extra virgin coconut oil in for a bullet-proof breakfast cocktail. If this tastes too spicy, cut back on the ginger. Add a little more orange juice if it’s all a bit too heady and intense (although, it is less intense than plain ginger tea). 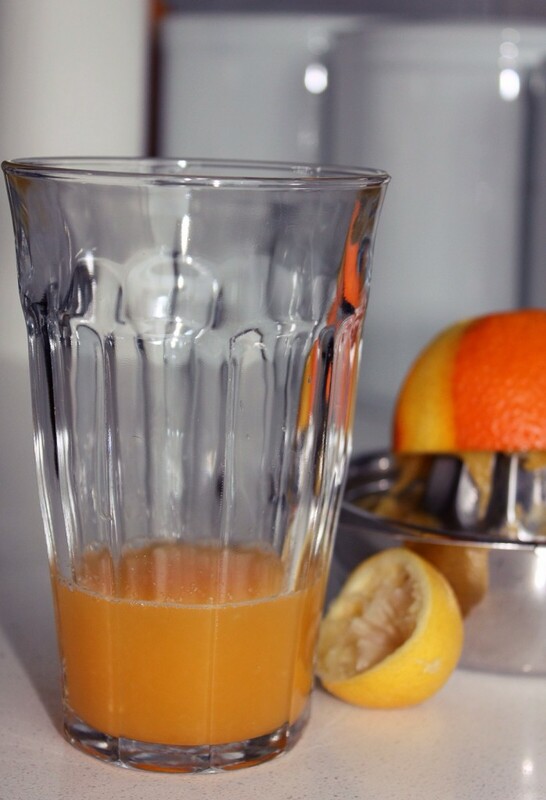 This is a cleansing, vitamin C-rich, mega-anti-inflammatory beast of a breakfast cocktail that also tastes comforting and has great body. It tastes nothing like coffee, although it distracts you from the fact that you are not drinking coffee, which is almost as good. Simmer the ginger and turmeric in the water for 5 minutes or so. 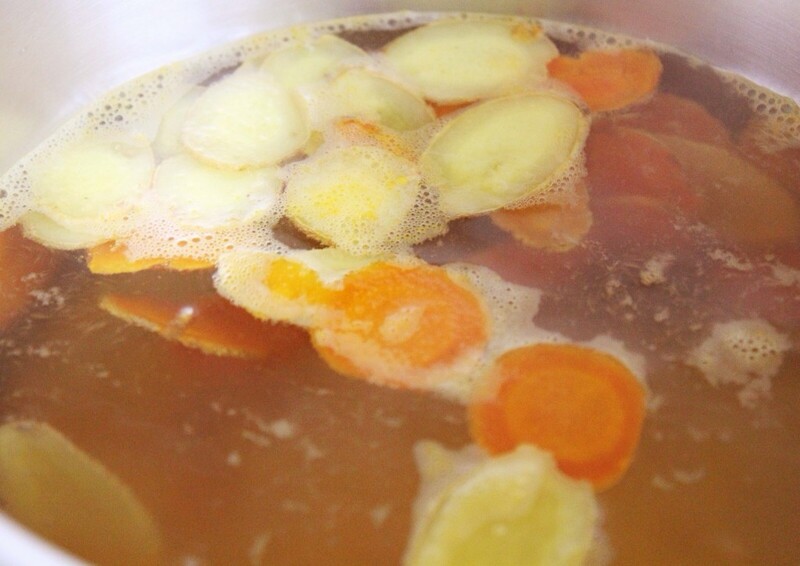 Add the citrus zest and steep for another couple of minutes. Squeeze the juices and divide them between two heat-proof glasses or mugs. Pour the tea over top, crack some pepper on top and stir in the oil. (The prep -slicing, zesting, juice-squeezing, can all be done the night before to take the pressure off the morning).